August 17th is National Nonprofits’ Day: Join In! – Design Your Lifestyle. August 17th is National Nonprofits’ Day: Join In! August 17th is National Nonprofits’ Day in the United States. It’s a day when individuals, businesses and organizations are encouraged to find, support, donate to and raise awareness for nonprofit organizations that resonate with them. The 2017 Lavallette Breast Cancer Walk logo. Nonprofit organizations don’t just raise funds and awareness for worthy causes; they are a vital part of the American economy. According to Johns Hopkins and Tactical Philanthrophy Reports, the nonprofit sector provided 5.4% of the entire U.S. GDP in 2012 – a figure that rounds out to $887.3 billion dollars. The primary goals of nonprofits are, of course, altruism, research and awareness. Each of us has been positively impacted by a nonprofit in some way during our lives, whether directly or to the benefit of friends or family. National Nonprofits’ Day is the perfect opportunity to “jumpstart” your altruistic side and support a nonprofit that means something special to you or your business. Peter Salerno at the 2017 Lavallette Breast Cancer Walk. For our parent company Peter Salerno Inc., that support manifests itself every year in the form of the Lavallette Breast Cancer Walk. The walk occurs in Lavallette, New Jersey, and is hosted by the American Cancer Society, the Tone Foundation and the Lavallette Municipal Alliance. August 6, 2017 marked the 14th annual Lavallette Breast Cancer Walk. 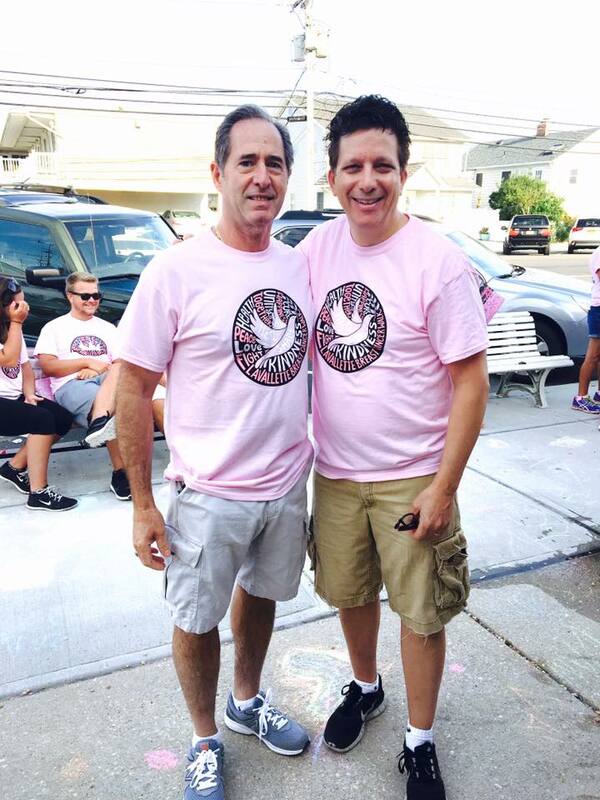 Peter Salerno once again participated in the walk on behalf of his company and family, as well as family and loved ones who have bravely battled breast cancer. Peter Salerno Inc. is a proud sponsor of the 14th annual Lavallette Breast Cancer Walk. 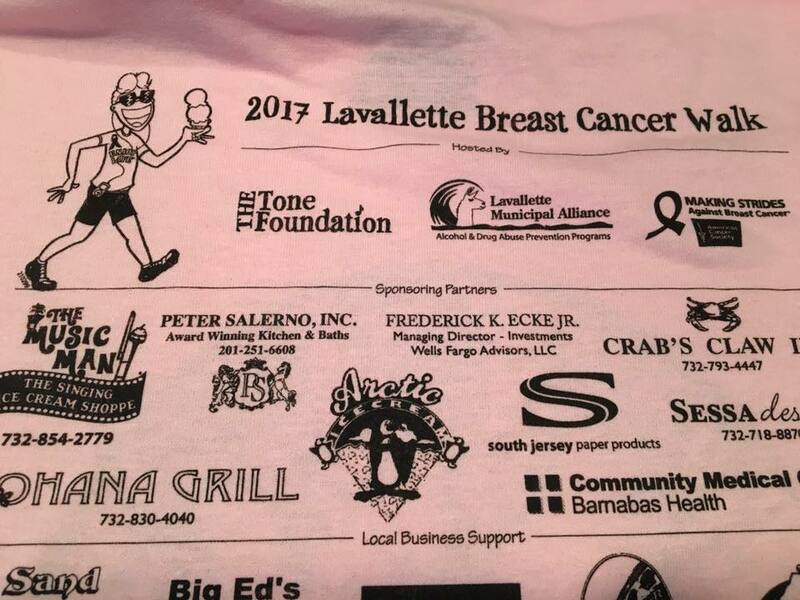 Peter Salerno Inc. is a proud sponsor of the 2017 Lavallette Breast Cancer Walk. The ways you can support a nonprofit you care about are innumerable. From donations of money to donations of time, from raising awareness to collecting goods and capital, getting involved with a nonprofit organization is rewarding to you and the world around you! Take it from us – nonprofit organizations are always happy for your support, so don’t be shy about reaching out to one that means something to you!